Warning: This article contains spoilers for Stephen King's It and the 2017 It film adaptation. Spooks, scares, and even more sarcastic comments from the Losers' Club are yet to come. New details have surfaced (courtesy of Entertainment Weekly) that give fans an idea of what to expect from It: Chapter Two, the sequel to director Andy Muschietti's It, and how it will approach the plot that appears in Stephen King's original work. Chapter Two will tackle the second half of the 1,000-plus page King novel it adapts. As previously confirmed, Chapter Two will be set in the present day, where Chapter One was set in 1988 and 1989. It will feature the Losers' Club as adults who have pulled back together, joined by the blood-oath they once took to fight Pennywise (Bill Skarsgard) if he resurrects again in 27 years. Muschietti explained that the "dialogue between timelines will be more present" in Chapter Two. "If we're telling the story of adults, we are going to have flashbacks that take us back to the '80s and inform the story in the present day," he explained. His sister and producing partner Barbara Muschietti told EW that as of Monday, September 11, Chapter Two still hasn't received the official greenlight from New Line Cinema and Warner Bros., though writing and development is already underway and has been for a bit. There's little doubt that the film will move forward, and all that's needed is a finalization of the deal, which she hopes will happen soon, because the young cast (which features Finn Wolfhard, Sophia Lillis, Jaeden Lieberher, Wyatt Oleff, Jack Dylan Grazer, Chosen Jacobs, and Jeremy Ray Taylor) is changing by the minute. "The hope is we'll find the best way soon, because it's also important for Andy to get flashbacks with the kids, who are growing very fast," she said. "They are an important component in the next film." The director stressed that the youngsters' roles in Chapter Two won't be brief throwbacks. Instead, they'll play an important role in affecting the events that unravel for the adult versions of themselves. "They're a very big part of the action," Muschietti said. Muschietti and producers Seth Grahame-Smith, David Katzenberg, Roy Lee, and Dan Lin have been thinking of which adult actors to reach out to, but aren't extending their hands just yet. Sources involved in the casting process tell EW that New Line and Warner Bros. may be eyeing more unknown actors, particularly if lookalike actors for the Losers can't be found with more well-known names. Unfortunately, one member of the Losers' Club doesn't escape Derry. Those who have read the source material will know that Jacobs' character Mike Hanlon voluntarily stays behind to serve as a watchman, despite being the victim of relentless torment from the town's racist bullies, while the others leave town to grow up in safety. Mike pays a hefty price for that decision, but Chapter Two will take his storyline into even more intense territory. "My idea of Mike in the second movie is quite darker from the book," director Muschietti explained. "I want to make his character the one pivotal character who brings them all together, but staying in Derry took a toll with him. I want him to be a junkie actually. A librarian junkie. When the second movie starts, he's a wreck." The filmmaker added that he wants to "infuse more agency [into Mike] in those 30 years we don't visit" the town of Derry, adding, "He's not just the collector of knowledge of what Pennywise has been doing in Derry. He will bear the role of trying to figure out how to defeat him. The only way he can do that is to take drugs and alter his mind." Another character whose trajectory takes a tragic turn is Wyatt Oleff's Stan Uris, who was the target of cruelty from local bullies for being Jewish. He's a strong character, but is damaged after the clash with Pennywise in a way his fellow Club members aren't. In King's novel, the adult Stan ends up committing suicide at the thought of returning to Derry. "There is something in the future for him, taking his own life, that finds its seed in this film," explained Andy Muschietti. "He is the one who doesn't want to accept what's going on. And being the one who didn't want to participate, he gets the worst part." The atrocities Stan faced in Chapter One will haunt him into Chapter Two, and his resiliency will disintegrate. As Barbara Muschietti stated, "The thing about Stan is he doesn't bend, he breaks." 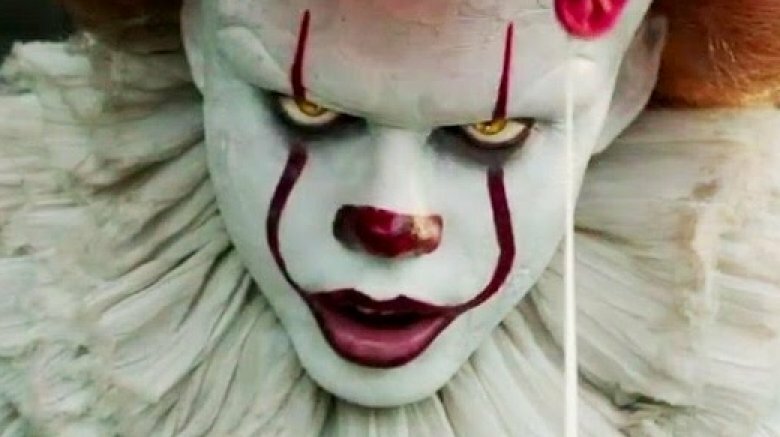 Andy Muschietti then joked that one character will definitely appear stronger than ever in the upcoming movie: "We've got Pennywise and it's Bill Skarsgard." A release date for It: Chapter Two hasn't been hinted at just yet, but we'll update you when we know more. Until then, take a look some more upcoming reboots we can't wait to see.